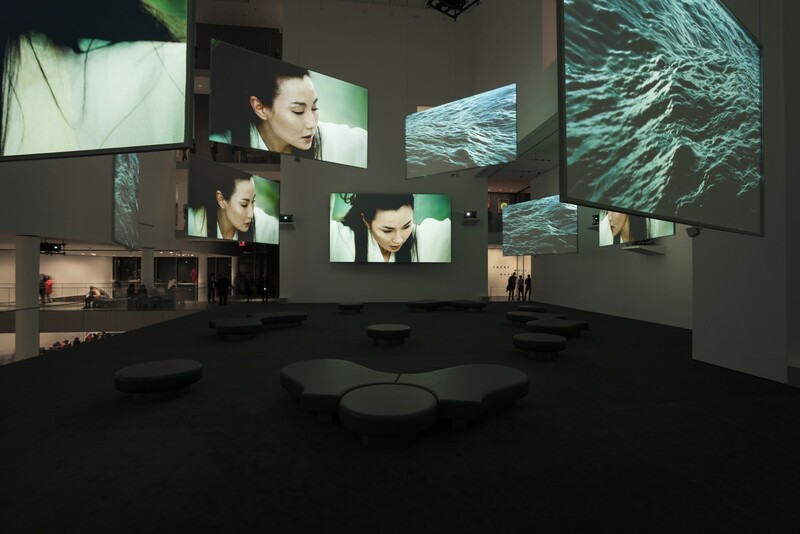 This installation of Ten Thousand Waves (2010) onto nine double-sided screens arranged in a dynamic structure was especially conceived for The Donald B. and Catherine C. Marron Atrium, the installation choreographs visitors' movement through the space. The original inspiration for this recently acquired, 55-minute moving image installation was the Morecambe Bay tragedy of 2004, in which more than 20 Chinese cockle pickers drowned on a flooded sandbank off the coast in northwest England. Ten Thousand Waves was conceived and created over four years. 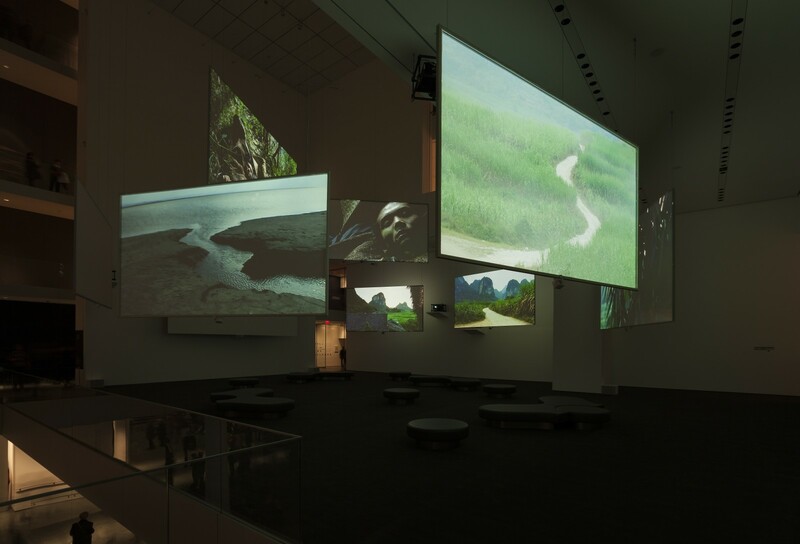 In a reflection of the movement of people across continents, audiences move freely around the Marron Atrium, with the ability to watch from whichever vantage points they choose. 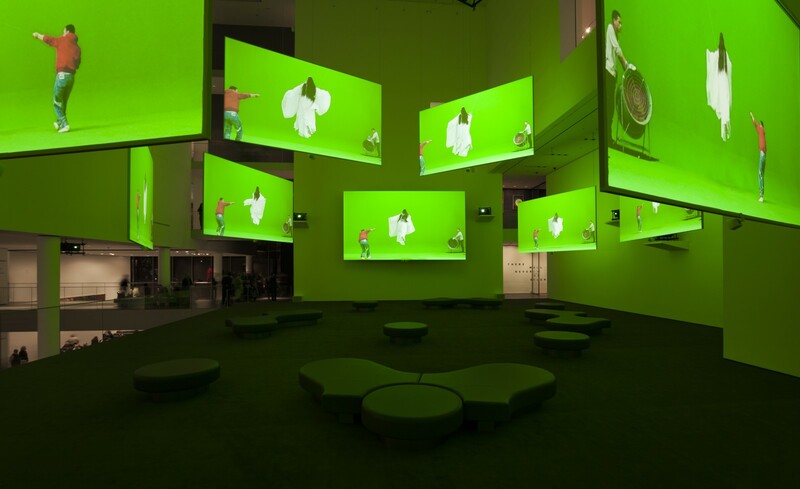 Organized by Sabine Breitwieser, former Chief Curator (until January 31, 2013), with Martin Hartung, Curatorial Assistant, Department of Media and Performance Art. 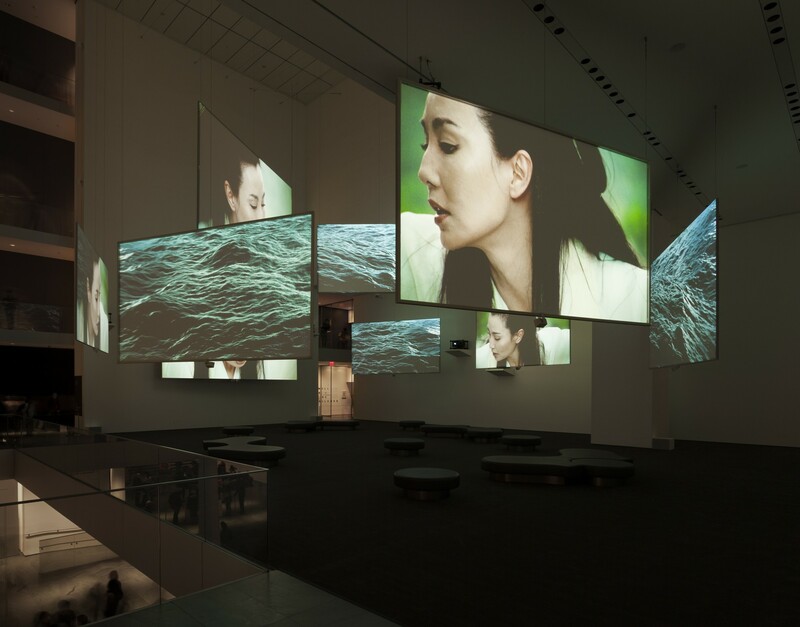 This exhibition was shown in conjunction with Critical Reveries: The Film Art of Isaac Julien.